How can I see my holdings as a percentage of my portfolio? Also, how you can hide your balance. 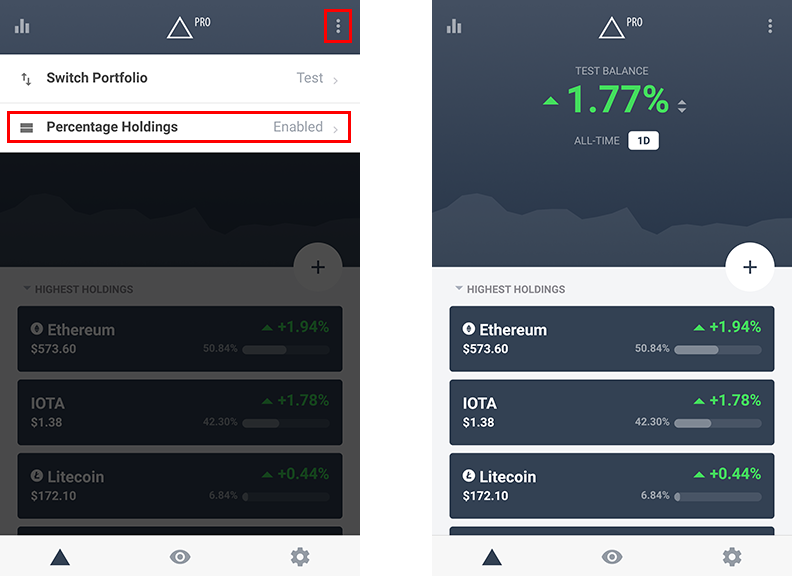 To display your holdings as a percentage, tap on the 3 dots to the top right of your portfolio main screen to open the menu and tap on 'Percentage Holdings' to enable it. Do the same to toggle between percentage mode and normal mode.